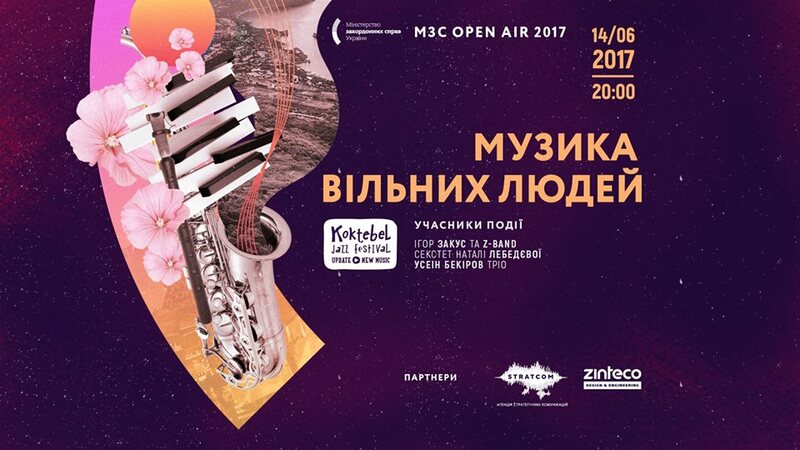 Under the walls of the MFA of Ukraine on St. Michael's Square will be held for the third time the MFA Open Air - this time a jazz concert "Music of free people." The event was organized jointly with the Koktebel Jazz Festival. The concert is a symbol of solidarity and support to those who are against the Russian occupation of Crimea. Beginning at 20:00, start the showing of the film about the Crimea, the movie record with live accompaniment. In the role of ballroom pianist RoyalMan | Mike Kaufman-Portnikov. So invite all June 14 at 20:00 come to the Foreign Ministry and listen with Ukrainian jazz - music symbol of freedom and free Ukrainian Crimea. Number of seats is limited, but space allows viewing stand. Approximate duration of the event - 1,5 hours.